New eLearning solution with inbuilt innovative tools and softwares to create courses and grow your education system. This website is a complete eLearning solution to enhance the digital learning experience by kind of interactive learning solutions like course authoring tool, learning management solution, social eLearning, LMS and document conversion tools. This website provide set of software’s and tools to create and manage courses with images, slides, audio and videos. This website has a tool called Authoring tool that allows business and organizations to create interactive e-Learning courses for their intended audience. Business, Organizations and users purchase membership to access set of tools and software’s. This website provide robust reporting tool of LMS. This website provide analytics to track learner, milestones tracking, performance and learning behavior. Businesses can create and sell their courses. This website provides Powerpoint to HTML5 conversation tool. This website provides Social eLearning tool that turn existing social network into powerful LMS to grow your network and create social learning network. In this project, client wanted to develop interactive learning tools and software’s for businesses, organizations, and individuals. LMS and content authoring tool was tough to be developed and integrated. We have developed this platform using new technology and tools to make it robust and user friendly. 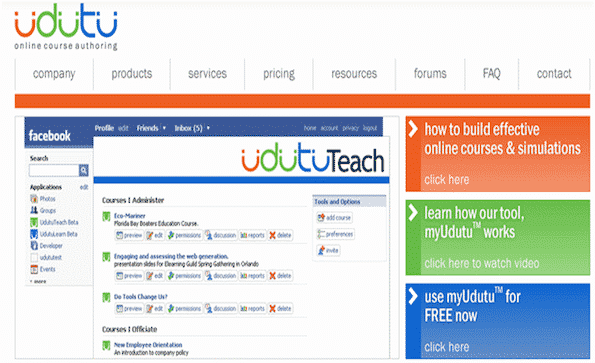 This website has features like Authoring Tool, LMS and Social eLearning and other tools. Don’t forget to visit other websites as well.